Monday night we headed to The London Irish Centre in Camden. 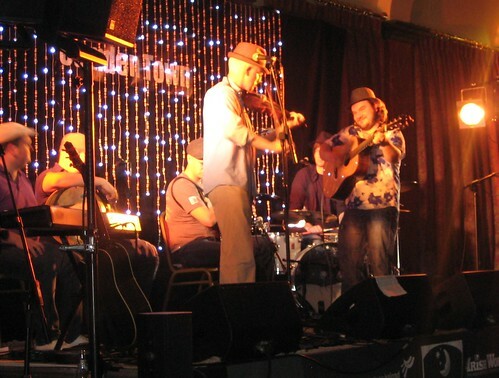 A festival called The Return to Camden Town celebrating Irish culture is currently going on in Camden and Jamie Smith (who we saw last year as well) was playing with his new band Smith: Byrnes: Oâ€™Sullivan and this was the release concert of their first CD. There were two bands playing that night, the first one with was a guy playing different a instrument for almost every song with his band. This was a bit more traditional I guess and then there were Jamie and his friends playing a bit more upbeat with a drummer and guitar. I really enjoyed the music, it reminded me of my days back in high school when the folk festival was in town there. I shot a video of the first song they played; Exotic Snowball. The sound in the video is not good so if you want to hear what it really sounds like go to their myspace profile and hear the song there. I’ve been in London for a bit over 3 weeks now and I really enjoy it. These past days the weather has been so-so but otherwise it’s been remarkable good weather. 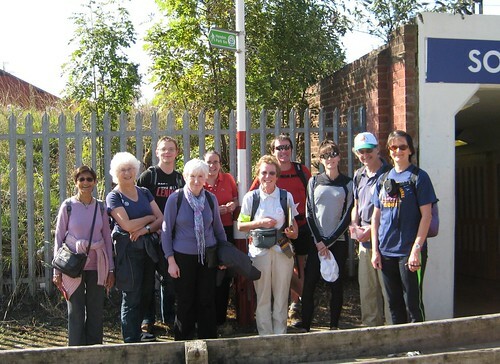 Two weekends ago we went on a walking tour organized by Walk London where we joined a route close to our place. The route we were walking was the 10th segment of a walking path called the Capital Ring which goes through the green belt all around London. It was a really nice walk and nice to see that there is lots of green patches around us. At Welsh Harp we met up with the chairman from Welsh Harp Conservation Group who told us about the area that sees a lot of migrating birds. The conservation group had two hides from where they can sit and look at the birds. 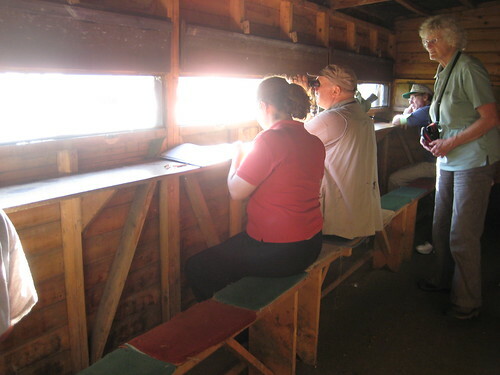 Below is a picture of how it looks inside the hide and here is the view you can see looking out from the hide. This past weekend my parents came to visit us. And as I am still very new to London I got the chance to explore a lot of new places myself. 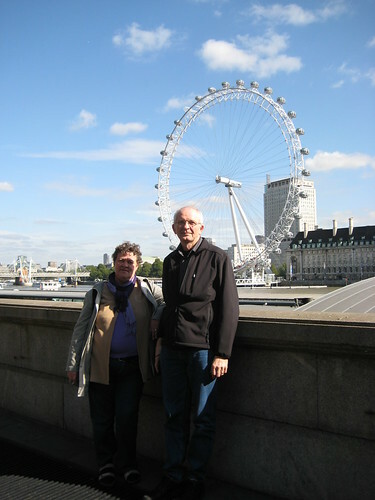 Friday we took a tour in open doubledecker buses around London to see the famous landmarks in central London. In the evening we went to my first West End performance to see a musical called Jersey Boys about a band from the 60s. I really enjoyed the music and the production with the way the stage kept changing into so many different sets throughout the show. This is definitely something to do in London and I hope to see more shows while I’m here. 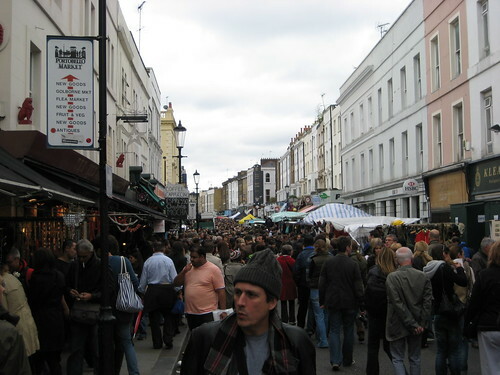 Saturday we went to Notting Hill for the Portobello market to look the stalls, stuff they were selling and the atmosphere. Later we went to the Science Museum. 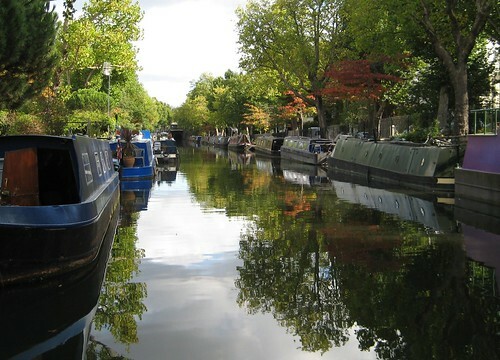 Sunday we went to Little Venice which doesn’t really look like Venice but is a very nice place none the less. From here we took a canal boat to Camden Lock where we ran into another market with great food stalls and loads of people.